The one Great Inevitability is that everyone dies. The end result is the same, but the manner in which one is allowed to take leave of this corporeal world makes all the difference in the journey. Those for whom death is imminently certain are not always allowed to depart on their terms. They have not made preparations or their family ignores final instructions. Whether based on false hopes of recovery or simply fear of making that difficult decision to release a loved one, one cannot know what one will do until faced with that decision. Once completed, the end of life is irrevocable. Have you decided what to do at the time when all avenues for recovery have been shut down and a decision must be reached? Have you created clear, legally binding end-of-life directives? Do you have a DNR (Do Not Resuscitate) directive? What will your family do? Will they follow your wishes? Will you follow their wishes? Have you had that conversation with your family? Your present age and health do not matter because a debilitating accident can happen to anyone. Talk about the issues when you and your family members are in the pink of health so that some of the emotional burden will be removed from the process. In The Conversation, Dr. Angelo E. Volandes leads the reader through a number of scenarios, including that of his father, of people who were near the end. Writing with consummate sensitivity and devoid of obfuscating medical jargon, Volandes advocates for the right of the patient to make the final decision. His examples illustrate his belief that the United States has the best health care and the worst deaths, especially in the absence of clear directives. The case studies are heartrending and informative, but the book’s best aspect lies in the four appendixes that follow. They provide a guide to determine how to make these decisions and how to make one’s wishes known. Each step is illustrated by reference to the cases previously related. Appendix I suggests the patient talk with family and doctor, preferably before an illness. Tell your family what your wishes are and write them down or video yourself telling the family and your doctor what you want done. Discuss options with your doctor. These include life-prolonging care, in which all efforts will be made for life; limited medical care is just that: and comfort care, also known as palliative care. Appendix II suggests the patient take control by creating a living will and a healthcare proxy that names a person who can make medical decisions if you are incapacitated. 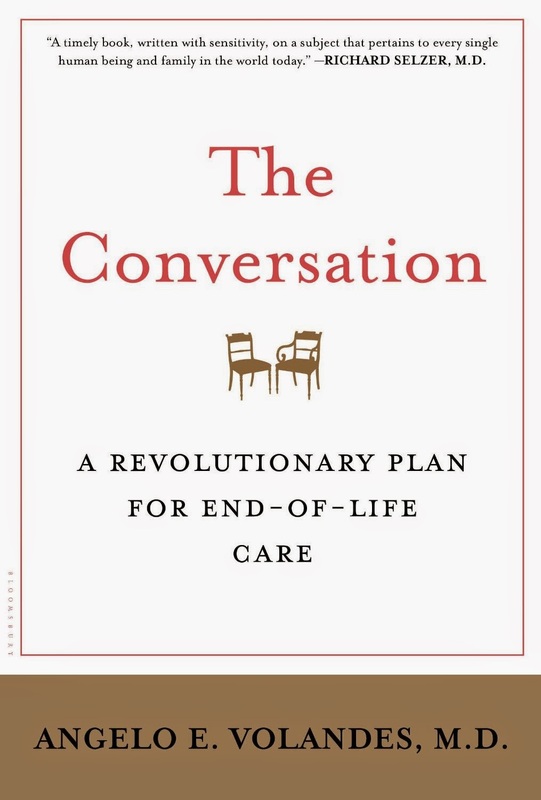 The family, according to Appendix III, should tell the patient/loved one that they are willing to talk and then sit down and talk about end-of-life decisions. Unfortunately, this step must too often be completed when the patient is nearing the end. 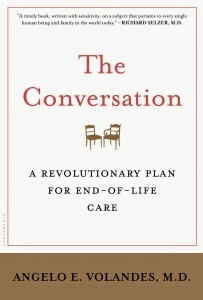 The final appendix provides three excellent online resources: www.getpalliativecare.org, www.theconversationproject.org, and www.prepareforyourcare.org. View with family then talk with your medical care provider. It is very reassuring to have made these decisions prior to when the nursing home calls and asks if you, the healthcare proxy, are sure that DNR is what you and your favorite aunt had agreed to. Read this book. Take action.